Our call for papers has now closed, and we've now selected a fantastic series of talks and sessions for the Mythgard London Speculative Fiction Symposium. You can see the full list on our schedule page (note that some details may change). We'll also have synopses of the talks up soon. We're very excited to have such a diverse and interesting set of topics for our first LondonMoot! In addition we've also released details of our optional Friday field trip, with a guided visit of several London literary landmarks. This is designed as a fun day for literature lovers, mostly for free or low cost. All parts are optional, but sign-up in advance is necessary, as is payment for any paid sections. Note that the tickets for Hamlet at Shakespeare's Globe are likely to run out fast! Ticket sales for the symposium are still open! Please share with any friends or communities you think may be interested. We're extending our Call for Papers to 26th March! This is to give more time for quality submissions for talks and other hosted sessions at the symposium. 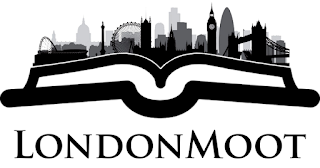 Note that accepted LondonMoot presenters will have the opportunity to have their proceedings published in the Signum University Digital Collection. Tickets are £30 per person, and include lunch and refreshments. Students should get in touch directly for discount pricing. There is also now a Facebook page for the event where you can discuss plans with other attendees. Don't forget the Call for Papers is still open (till 26th Feb) for those wishing to deliver a talk at the symposium. Note that there may be some optional extras for those interested, including a field trip of London Literature Landmarks on Friday 27th and a conference dinner on the evening of Saturday 28th. You can signal your interest in these when you purchase tickets for the event. London is a big and expensive city. Here's some tips to help you get the most out staying in London. Getting Around The symposium is being held at Torrington Place, London WC1E 7JE. The closest tube stations are Warren Street, Euston Square, Goodge Street and Russell Square. Euston rail station is a short walk away. London has several airports for those travelling in by plane. Heathrow and Gatwick are the most accessible internationally. Luton, Stansted and Southend are all further away but still usable. Birmingham airport can sometimes offer cheap alternatives whilst still being accessible by train to central London. LondonMoot 2018 - Save the Date! The first Mythgard London Speculative Fiction Symposium, known as LondonMoot, is coming 28th April 2018. It will be a one day series of unique talks on speculative fiction literature, featuring a keynote talk from Dr Corey Olsen (aka "The Tolkien Professor"). Further details will be released soon, including registration options and a call for papers.